Student loan debt has reached crisis proportions in the US. Not only are millions of borrowers unable to make their loan payments, but the total amount of outstanding federal student loans has ballooned to more than $1 trillion. What’s a Reasonable Amount of Student Debt? If students abide by that benchmark, after graduating, they can pay off their loans over a decade or less and have ample money for mortgages and cars as well as to fund retirement. Given that music degrees come with ample intrinsic but modest monetary value (1st-year earnings of master’s degree graduates average about $30,000*), it’s unwise for financially needy music students to rack up nearly $84,000 in debt. Even so, I regularly counsel music graduates with almost double that amount of debt, and all of them could have obtained excellent educations without over-borrowing, if they had known how. The following 10 strategies help students steer clear of crippling debt. I’m gearing them toward musicians, but the concepts apply to students in every discipline. 1. Just say “no” to big debt. If you don’t get sufficient scholarship funds to attend a school without going heavily into debt, don’t enroll. Work part time, study, and then reapply the following year. Your work experiences, professional recommendations, and ongoing study will make you more competitive for scholarship funds. 2. Attend a low-cost school, and then transfer. If you’re a rising freshman and you’re admitted to a low-cost school with a sizable scholarship but don’t receive funding from top schools, attend the affordable school, earn stellar grades, and then apply to transfer as a sophomore. If you still don’t receive much funding from your preferred schools, continue at the lower-cost school and apply to transfer again as a junior. You also might use your tuition savings to help fund summer study or to pursue a volunteer internship, whether in the music field or another area of interest. 3. Take advantage of in-state tuition. If there are high-quality, state-funded schools in your home state, apply to those – even a moderate amount of scholarship can cover much of your costs. Post-college students who lack satisfactory graduate programs in their home states can relocated to states with top-notch state-funded graduate programs and earn residency. Establishing residency may take 12 months, but students should check a state’s current requirements. During the pre-residency period, individuals can work and build up additional qualifications for scholarship and assistantship awards. After becoming residents and gaining admission as in-state students, they save tens of thousands of dollars in tuition costs. 4. Do research and get feedback. Before applying either to undergraduate or graduate programs, research the higher education marketplace in your field and have your performance level evaluated so that you can gauge your competitiveness for scholarships. You might also participate in summer music programs that enable you to study with faculty who teach at the schools you aspire to attend. If, after upgrading your skills, you still aren’t competitive for scholarships, you’re unlikely to be competitive in the music performance profession, so you can change career directions, still enjoy music as a non-major, and you won’t be encumbered by debt like the misguided opera singer quoted above. 5. Budget for the long term. Calculate your costs across both your undergraduate and graduate educations. Don’t over-spend or over-borrow for undergraduate school. 6. Appeal low scholarship offers. If an initial scholarship offer doesn’t suffice, respectfully request more funds. Keep appealing, if necessary. While in school, gain diverse skills and access a school’s career office so that you can earn money in multiple ways during and after school. If, despite what’s written here, you find yourself considering hefty loans to enroll at a school, seek advice from impartial mentors before you commit. Don’t lean on the advice of a music studio teacher with whom you might study – that person would profit from your borrowing and therefore isn’t impartial. Families that have the means usually save to pay for the educations of children and grandchildren. If your family can support you, graciously accept the help. 10. Be hopeful yet practical. 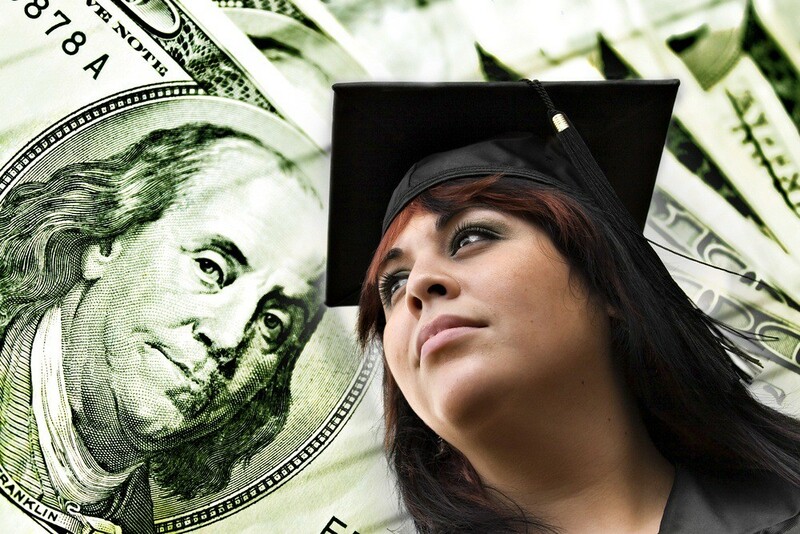 The funds available for scholarships at a given school aren’t necessarily constant from year to year – amounts may vary depending on how many funded students graduate. So, if funding is denied to a qualified applicant once, it doesn’t mean that funding will be denied the following year. If you know that you’re highly qualified for a scholarship, be hopeful but also practical, and don’t over-borrow. In sum, the U.S. is full of excellent colleges, universities and conservatories. By using these ten guidelines, any capable student can graduate well-educated and also free of encumbering debt. 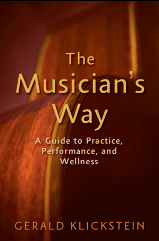 See The Musician’s Way for guidelines to building the inclusive skills needed for success in the music world. Want further assistance to advance your education or career? Contact me for coaching via Skype. *For more information about the earnings of music and arts graduates, see the Strategic National Arts Alumni Project (SNAAP).